Management at Wits University are yet to respond to calls for free sanitary pads despite receiving a petition of over 3 000 signatures supporting the move. Earlier this year, Wits was handed a memorandum making the call for the free pads by Amnesty International Wits. The dean of student aff airs, Dr Puleng Lenka-Bula received the memorandum on behalf of the university. “She notified us that it would be included on the VCO(vice chancellor’s office) agenda and they would revert to us once management has made a decision. To date, no response has been received from the university”, says Raees Noorbhai, chairperson of Amnesty International Wits. 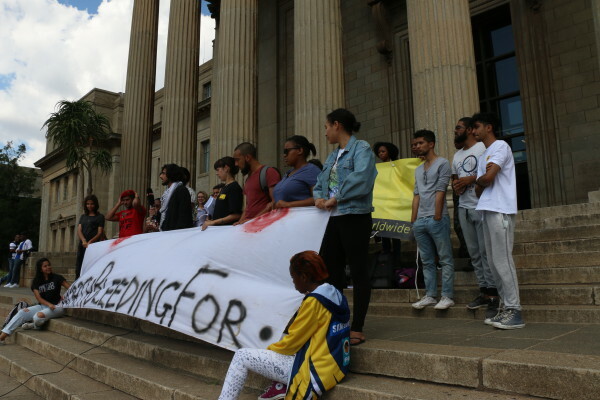 The memorandum was the culmination of the #WorthBleedingFor on-campus petition which garnered more than 3 400 signatures from people who support the call to have sanitary pads provided freely for all students and workers on Wits campuses. The campaign also demanded that the South African government honour its 2011 promise to provide free pads for women and to abolish taxes levied on tampons and sanitary towels. “We repeat our call for [Wits] management to respond to our petition,” says Noorbhai. As part of the #WorthBleedingFor campaign, one of the companies currently selling menstrual cups, a more cost-effective alternative to pads, will be doing a promotion on campus during the next few weeks, says Noorbhai. The dean of student affairs had not responded to questions from Wits Vuvuzela at the time of going to press.